The craziness of summer has officially begun! Last week was Poppy's last day at ballet for the year. 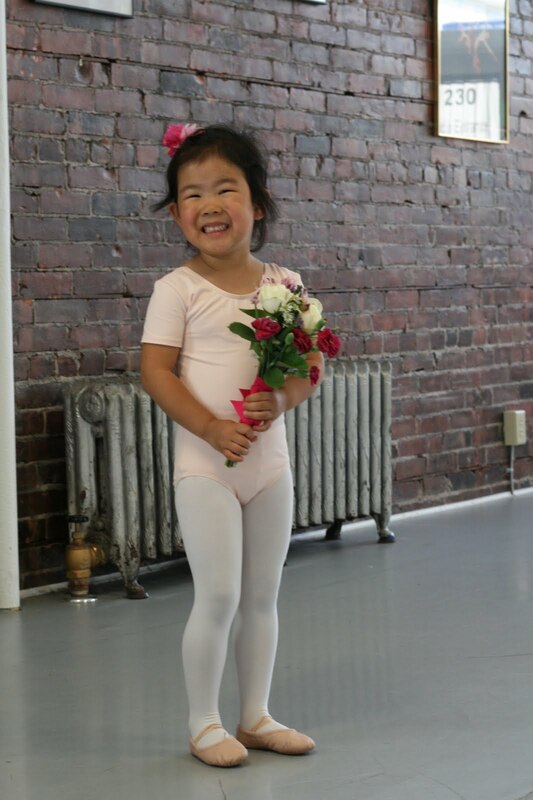 Her studio didn't do a full recital, instead they had a little show at the studio for the parents to watch. Poppy's teacher has been commenting to me a lot lately about how far Poppy has come in just the past few months. At the Christmas show she just stood there frozen, but at this show she actually performed! 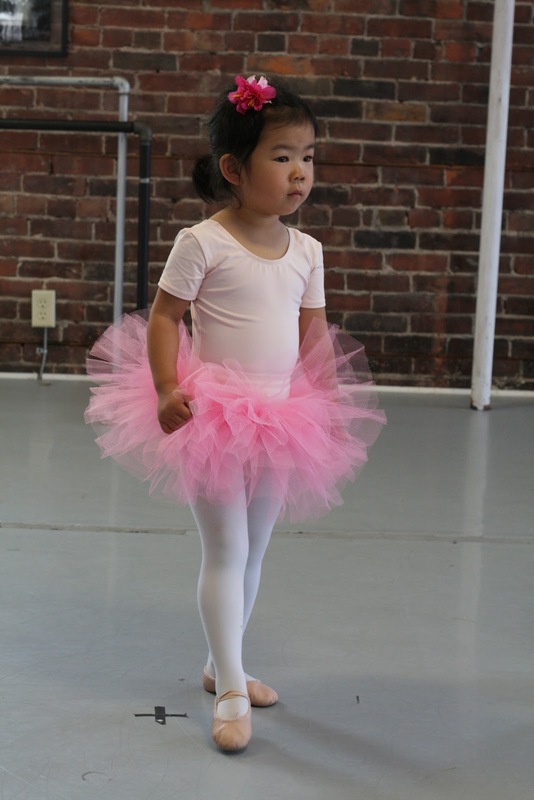 After the girls did their first performance, they had two professional ballerinas dance in their pointe ballet shoes. It was really neat to watch. Then the teacher had the girls line up again to do another dance, and as they were lining up Poppy said (under her breath, but totally loud enough for everyone to hear), "Oh boy, this is going to be a lot of work for me!". Marc and I just about peed our pants. I couldn't find a "ballet" cookie cutter, so I went with roses instead. Didn't they turn out cute? 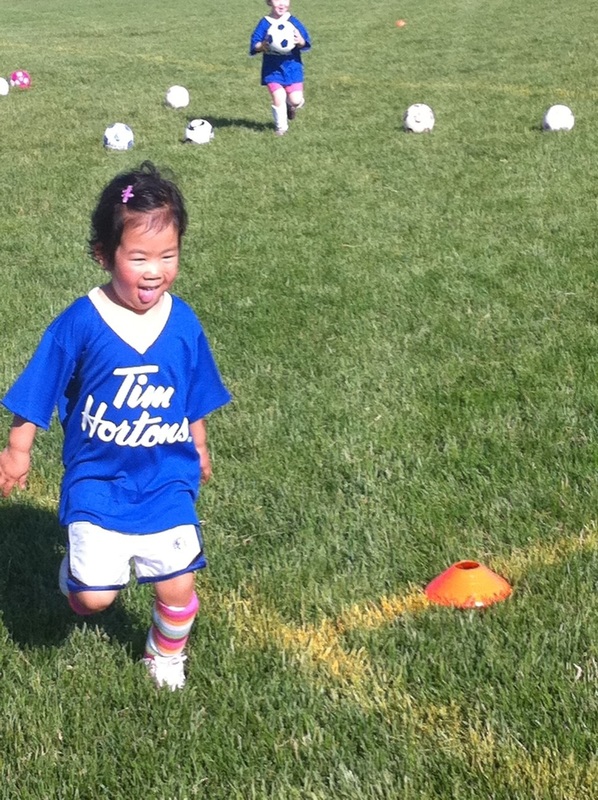 And then we signed Poppy up for another soccer team, this time an outdoor one. And her cousins and friends are all at this soccer practice, so it is extra fun for her. And now this is her last week of school before summer break. Anybody have any ideas for a simple teacher thank you gift? 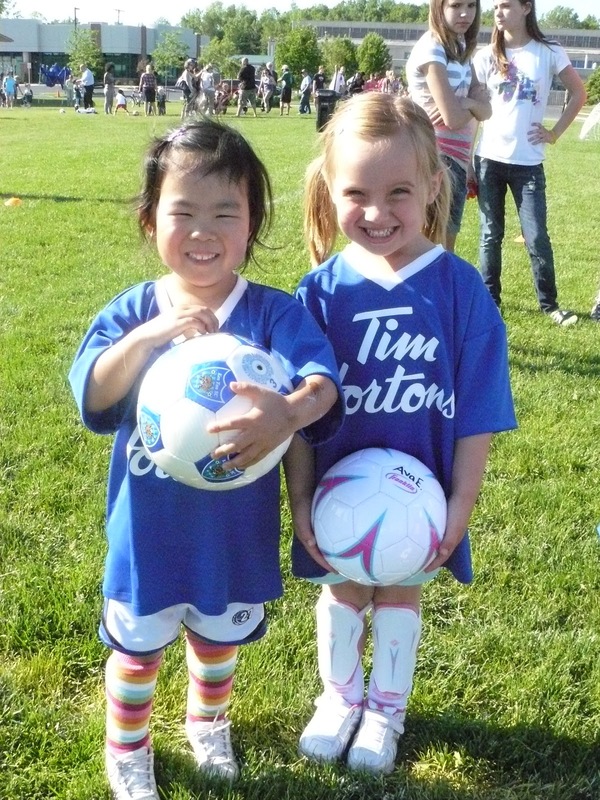 Love the Soccer pics! A super quick and easy teacher gift...go to wordle.com and create a word cloud about the teacher. Then print and frame. So cute and FREE minus the frame! So super cute! Those cookies are gorgeous! and I'm sure quite delicious. Oh, and I love Poppy's tutu! I'm making the butterfly picture you found for a few people with Phi this week. You coulg made do a green background and cut out some apples to make it like a tree. But jill is right the Wordle things are neat. Then of course you are getting so good at cookies and such that is fun too. Or bring them lunch or a cold treat durring the hot ick. I can't believe how grown up Poppy is now!! She was always a natural dancer! When the other girls were all over the place Poppy did so well! She is so beautiful!!! I miss her!!!! Those cookies are yummy looking and I love the ballet shots and of course, the soccer stuff. I played from the age of 7 until my early thirties. Such a great sport.